Yellow pear is covered with water. Isolated on white. Way is in path. 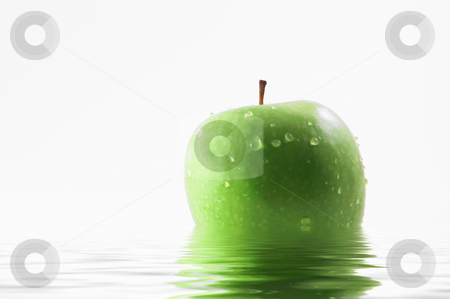 A wet apple sitting in water.